Today Hyperlogs users woke up to another exciting update chuck full of fixes and features. 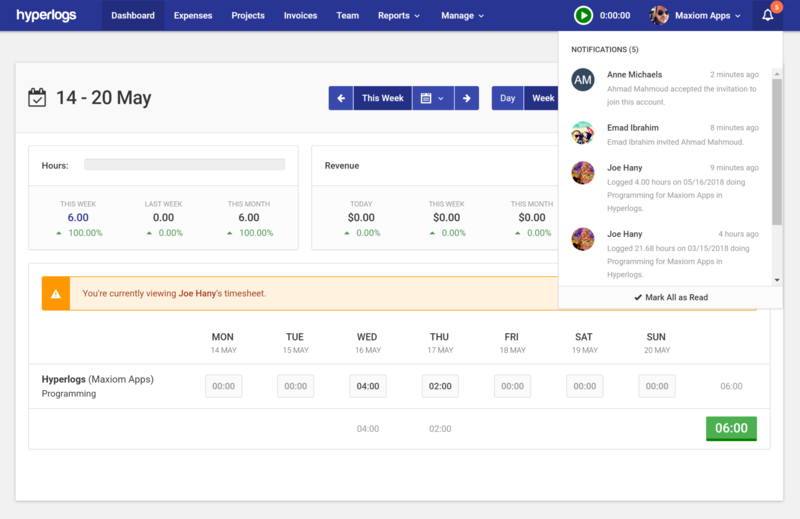 Take a look at the release notes to find out what’s new and why you have even less excuses not to dump whatever process or software you are currently using to track and manage your timesheets, expenses and invoices! NEW: Added setting in account settings that allows you to define a starting invoice number. NEW: Added Currency Format for internationalization support. NEW: Added Date Forma for internationalization support. NEW: Added Tax ID setting in accounts that is displayed on invoices. 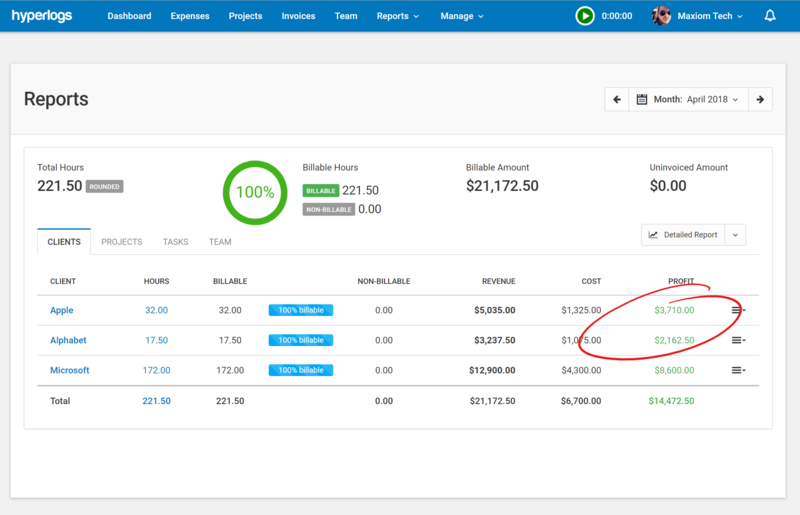 NEW: Improved Reports by adding profit by Client, Project, Task and Team member. ENHANCEMENT: Improved notifications. Indicators now show number of unread messages in account menu, Favicon indicating new and unread notifications and avatars in notification window. 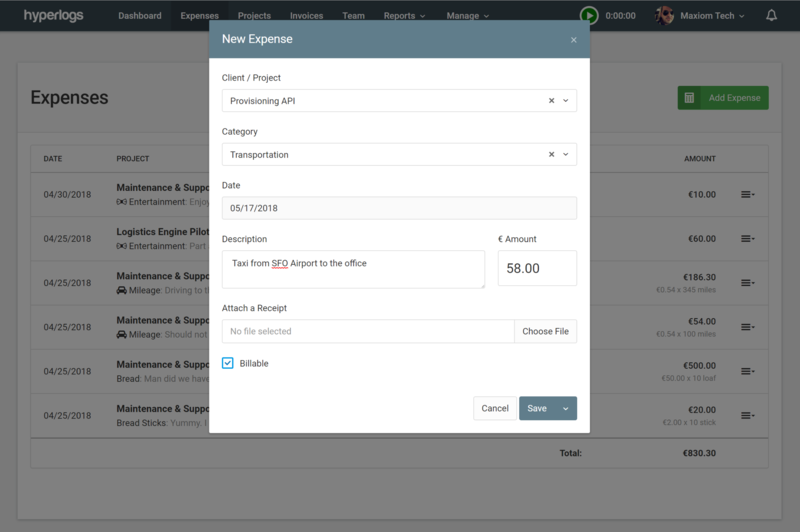 ENHANCEMENT: Improved design of PDF invoices and reports. BUG FIX: Invoice emails now come from “company name” instead of account owner’s name. BUG FIX: Issue with add a space between multiple email address in the invitation modal. We are already working on the next release so stay tuned for the next release update and please let us know if you have any feedback and if there is anything in particular that you would like us include in future releases. As always, thanks all the wonderful Hyperlogs users for their feedback and support.